LinkedIn has reached 1 Million users in New Zealand! LinkedIn currently has over 259 Million users worldwide. According to LinkedIn’s data the student marketing is increasing, with OVER 30 million students around the world signing up to join LinkedIn. This is most likely because LinkedIn can also be used to search jobs and universities. Businesses can benefit because people can find them on LinkedIn and connect with them, and so learn about their business etc. Building up connections on LinkedIn also helps you to increase your online presence as well as allowing you to build your professional brands. Make sure your profile picture is professional looking. An employer, or potential employer, isn’t going to want to see an image of you out on a Friday night with your mates. Use your full name as a LinkedIn username. Make sure you display your main skills and/or strengths in your title page or headline. Boost your bio; make sure you fill all of, or as many of the fields as you can; focusing on other jobs and projects you think are valuable to potential employers. Create relevant post; don’t post things which aren’t relevant to your industry. Is fame gained through social media good or bad? Is fame gained through social media good or bad?. Social Media & the Internet In General, Is It Too Accessible? I agree fully with what you’ve said..even when I was growing up (1990’s) I remember just having one standard VERY BASIC computer, which much of the time was just used for gaming; nobody was that interested in social media in comparison too now. It’s scary to see how quickly times have changed and developed.. I’m not sure if this is a good thing, I’m sort of anxious about how quick the next 10-15 years will develop! What does everybody think to the newest social media website ‘Shots of Me’ invested in by Justin Bieber? Is it too much like Snapchat? Isn’t Snapchat just a “selfie sharing app”; yes the images disappear, but isn’t that half the fun of it? According to “techcrunch” Shot of Me allows you to “share selfies to the app’s Instagram-style internal social network”. So, is this new social network just a mixture of Snapchat and Instagram? Two already successful social media apps. Much like Instagram ‘Shots of Me’ also allows you to post images to Twitter; however doesn’t this defeat the object of not having comment? As followers will be able to access your image and then tweet you comments about that image.. It is said that Instagram will be added to the apps which you’ll be able to share your ‘Shot of Me’ images on to. Who’s tried this app out already or is going to try it? Let me know what you think of it! A social network dedicated to selfies. The simple answer could be to stay active online; update your social media accounts regularly (i.e. Twitter, Facebook, Blog etc.). But is there EVER really a ‘simple’ answer? Also, how do we get more followers which don’t just follow you and never interact with you again, but are active; followers who retweet, favourite and reply to your posts…. A good way to build your Twitter following is by using the website Twiends. 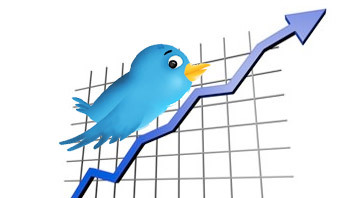 Twiends helps you to grow your Twitter following; they don’t sell followers they promote you to all visitors/members. This is effectively a Twitter directory. Make sure you have a profile picture/header and a complete bio. so that your Twitter profile looks somewhat interesting to they type of people you’d like following you. Tweet well and often; don’t tweet things which you think may be irrelevant to the people who are following you. Keep them wanting more. Engage your audience in your tweets- e.g. end your tweets (not all) with questions. Follow people who are like you; same interests, experiences etc. Adding “RT”/”please retweet” onto the end of your posts OCCASIONALLY will help you reach more people; retweets help to expand your Twitter profile’s exposure. Search keywords (or even hashtags) of interest to find people talking about the same thing/s as you. DON’T expect people to be active if your not; i.e. don’t expect people to retweet you if you don’t retweet them..it always helps to retweet/respond to somebody who replies, retweets or even favourites one of your tweets. Use hashtags- this will help you reach more people and stay connected. If people don’t follow you after a period of time (or are inactive) unfollow them. Repeat your most popular tweets – search your Twitter name and see what your most popular tweet/s are; which tweet/s get the most replies/RT’s/favourites. It seems like a simple one, BUT follow people who follow you back. Although, you want to gain followers it’s always best to follow people (as long as they’re relevant) back. Also, following somebody back may encourage them to be active on your Twitter page- so if they mention you this will increase your exposure further..as your Twitter name will be seen by their followers. Use services where you can find people by location. Follow people who follow back; some people tell you they follow you in there bio/Twitter posts..usually using hashtags such as “#TeamFollowBack” or “#iFollowBack”. This will gain you more followers, however they’re not guaranteed to be “quality” followers. Likewise, follow people who autofollow. 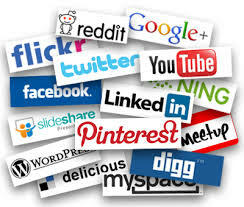 Promote your Twitter on ALL your other social media sites.. i.e. putting up a link to your Twitter on your blog.